Rockstar games has a reputation of making vulgar and politically incorrect a couple of the only words in their vocabulary. However Red Dead Redemption took to the sky with new wings. Yes you can still beat up prostitutes and yes you can steal peoples’ horses. But you’re a married man on a mission, so things like that aren’t as important (except maybe you still have a drinking problem or are addicted to gambling). 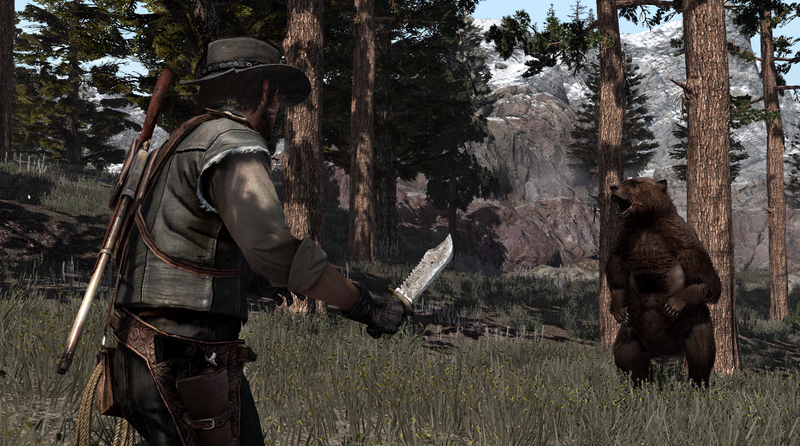 This game, set in the old west, takes place in an area called New Austin. You play as a man named John Marsten — an iconic, vigilante hero-type that’s on a mission and out for blood. You’ve been betrayed and left for dead by your old gang and you’re not happy. Forgive and forget? That’s not an option; The U.S. Government has taken your son and wife as hostages until you’ve done their dirty work, and exacted revenge on your old train-busting pals. How’s that for motivation? You start the game by trying to eliminate one of your friends/ex-gang members, and that doesn’t go over well. Throughout the rest of the story, you end up taking out all the members of the gang and running into new threats, and new friends. 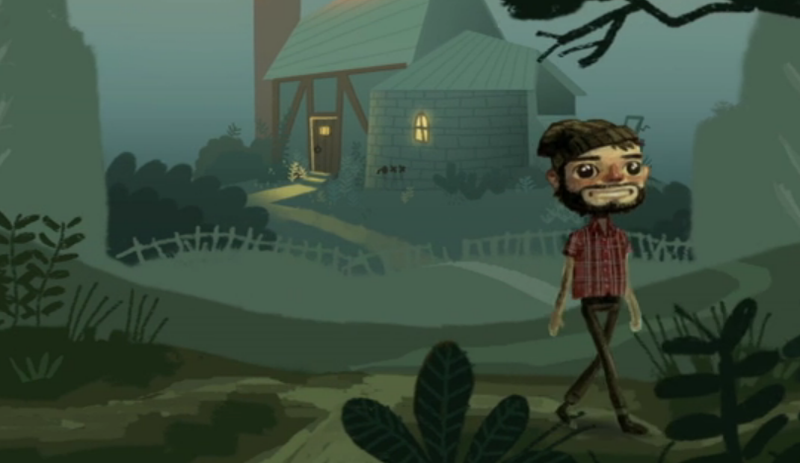 As well as having to make a couple key choices along the way there’s a lot to do in this open world of New Austin. Alongside the main quest line, you can do what are called challenges which consist of progressively more difficult tests of skill. Ranging anywhere from shooting a few coyotes, to searching far and wide to find the legendary animals found throughout the game world. There are tons of mini-games in RDR as well, there’s the game of Five Finger Fillet, Blackjack, Arm Wrestling, Cattle Herding, Watching Movies, Dueling, Drinking, Horse Taming, and more! There are so many in fact that you could spend hours just playing the mini-games and forgetting that there’s even a main quest. 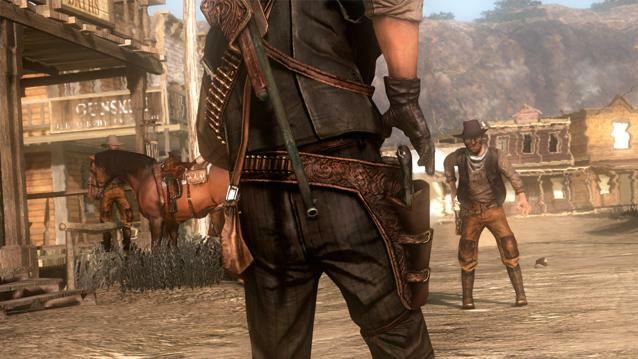 In an open ended world such as Red Dead Redemption has, it’s hard to make everything flow together and appear seamless to the player. Rockstar San Diego does a phenomenal job of doing this. You can run from the corner of New Austin to the opposite corner in Mexico with little to no load time. And in addition to that, the sky works like an actual model of the Earth. Clouds skirt across the sky, the sun crests and dips to let the moon come up (or not depending on which cycle it’s on) and then the stars come out. And I would argue that the stars are one of the best aspects of the games art. On that journey you might encounter a gang harassing some poor wagon merchant, or some wolves or cougars preying on an innocent prospector. You can help or you can just let nature take its course. And what’s more, Marsten is an extremely complex character, where both options make sense for him to make – a testament to Rockstar’s pitch-perfect writing. 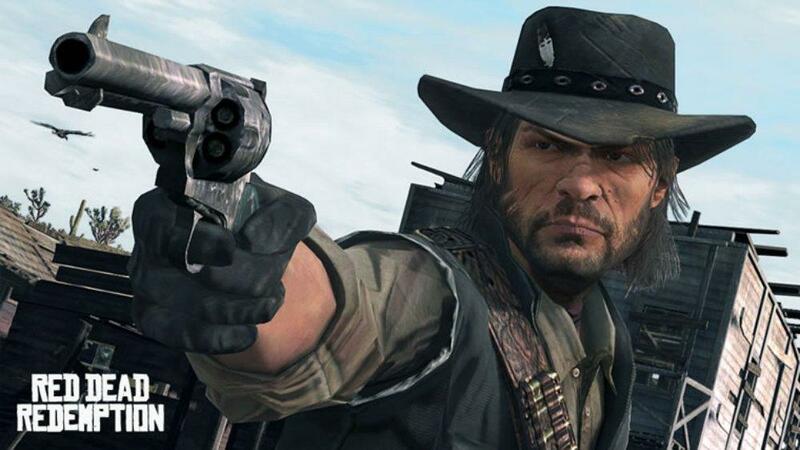 All in All, with everything Red Dead Redemption has to offer — from the mini-games and the side quests, to the different outfits, treasure maps and Easter Eggs — it’s one of the best games I have played in years. I can’t very well find much bad about the game and if anyone is thinking about picking it up, I highly recommend it. Feel free to comment or leave questions in the comments below I know myself and the rest of the guys at Power Cords would love to hear from you!